In the forum dedicated to discussing both Zettelkästen and The Archive, an user, jgro made an interesting feature request. He mentioned that in nvALT, there is a Bring-to-Front hotkey where irrespective of what program you are in, you can press the user-assigned hotkey and it brings nvALT to the foreground and pressing the hotkey again takes you back to the application you were working in. The Archive lacks this feature and he wondered whether that could be added? I realized that I use Alfred to achieve something similar. 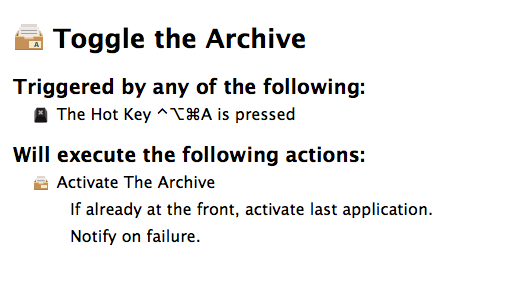 I have a keyboard command assigned to launching The Archive and I invoke that when I want to switch to it. 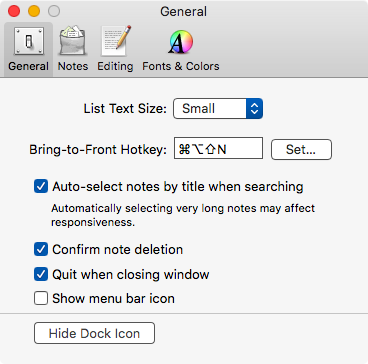 When I want to switch away from it, I usually invoke the keyboard command assigned to the application I am switching to, and that is how I move back and forth between applications. Another user, Basil, came up with a much better idea. He has a Keyboard Maestro macro he uses. He presses the keyboard command and it makes The Archive the frontmost application. When he presses the same keyboard command while The Archive is the frontmost application, the macro takes him back to the previous application. He has this set up for a host of applications he uses all the time. I am impressed with the ingenuity users bring to the task of using computers and making their workflows efficient. I decided to adopt this to my workflow and now have a slew of macros designed to do that. Thank you to forum members named jgro and Basil for making my life better. Thank you to Lukas for the keyboard photograph. Note: Basil uses Karabiner Elements to map his Caps Lock key to a Hyper key (a ⌃⌥⇧⌘ key). 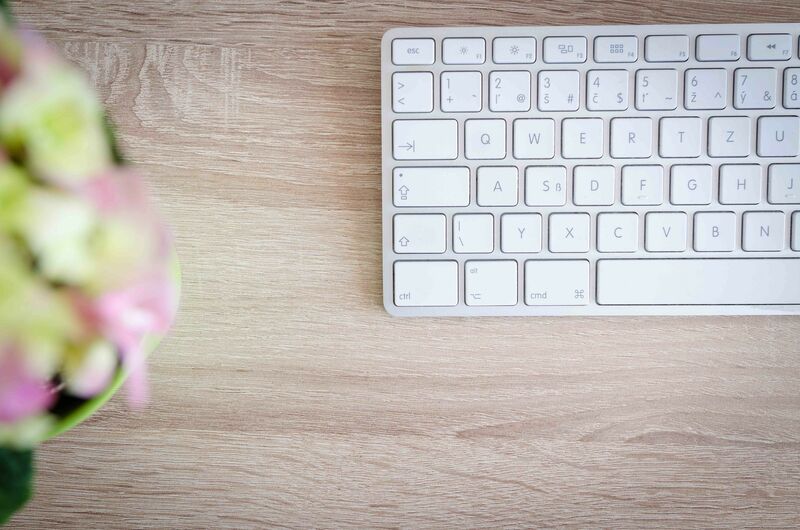 I am using ⌃⌥⌘ as the modifier key. His is the more elegant solution.